The Bees fell behind in the fourth, but the pitching kept the Timber Rattlers off the board the rest of the game. Appleton, WI- The Burlington Bees (17-21) bounced back big time after their rough series against Kane Country, defeating the Wisconsin Timber Rattlers (18-23) 3-2. 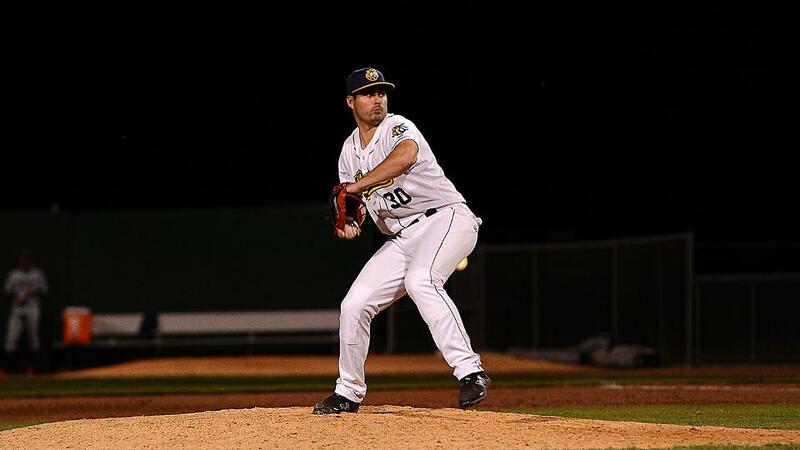 Oliver Ortega (2-1) came in relief to pick up his second victory of the season, going four innings, giving up just two hits and striking out three. Robbie Hitt (1-2) pitched the final three innings of the game but gave up the go ahead run in the eighth, earning him his second loss of the season. After two and a half scoreless innings of play, the Timber Rattlers broke the 0-0 tie in the bottom of the third to take a 2-0 lead. Nick Roscetti hit a one out double to center, and then got to third on a wild pitch to get a runner at third with one out. Wisconsin got him home after an RBI single by Joantgel Segovia, and they would add one more on an RBI single from Tristen Lutz. Lutz would try to make it 3-0 after Demi Orimoloye hit a groundball to third, but Franklin Torres would throw a quick strike to home, to throw Lutz out. Although the Timber Rattlers go out to an early lead, Burlington would quickly get on the board, to avoid getting knocked out early. Torii Hunter hit his fourth triple of the season to deep center, and Keinner Pina would drive him in on a fielder's choice to make it 2-1 in the top of the fourth. After going scoreless in the fifth, Jo Adell continued to crush the ball, hitting his fifth homerun and tying the game at 2-2. Leonardo Rivas got the Bees started off in the top of the eight with a lead-off double, and would be brought in two batters later, on an RBI single from Pina, giving the Bees their first lead of the game at 3-2. The Timber Rattlers would strikeout in their final two at bats in the bottom of the ninth, and the Bees captured their 17th victory of the season. Tonight's game has two players winning queen bee honors, Oliver Ortega and Brett Hanewich, for their combined scoreless relief outing. They combined for six innings, giving up just two hits and throwing five strikeouts. The Bees will look to win the series tomorrow, as they'll be back in action tomorrow at 1:05 pm. The Bees will go with Simon Matthews, who has an 0-2 record with a 5.96 ERA and the Timber Rattlers are expected to start Zach Davies for a rehab assignment. Davies had a 2-3 record with a 4.24 ERA with Milwaukee, before suffering a shoulder injury.